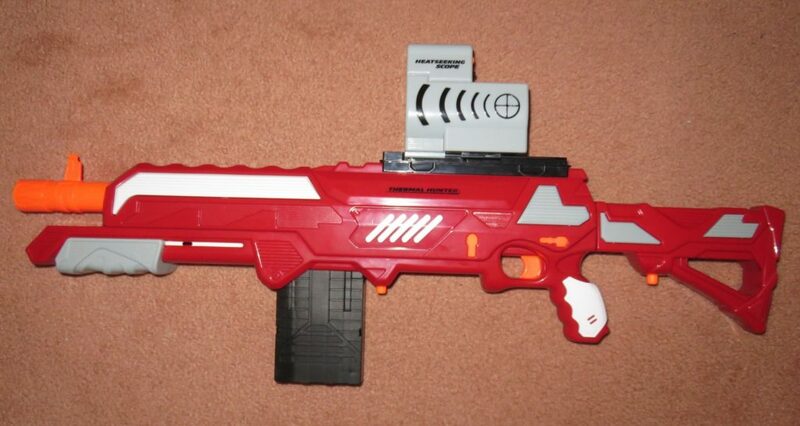 A solid pump action magfed blaster let down by horrible ergonomics. 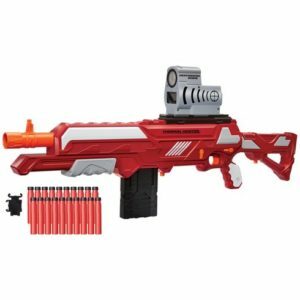 Buzz Bee’s newer mag-fed blasters have been a very popular addition to their lineup, typically featuring flawless cross-compatability with Nerf’s mag system as well as easily modifiable internals. 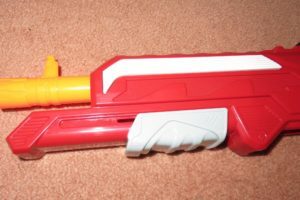 The Thermal Hunter feels like a culmination of all their springer work, offering a pump-action, mag-fed blaster which, if their other blasters are any indication, will also boast significant modding potential. 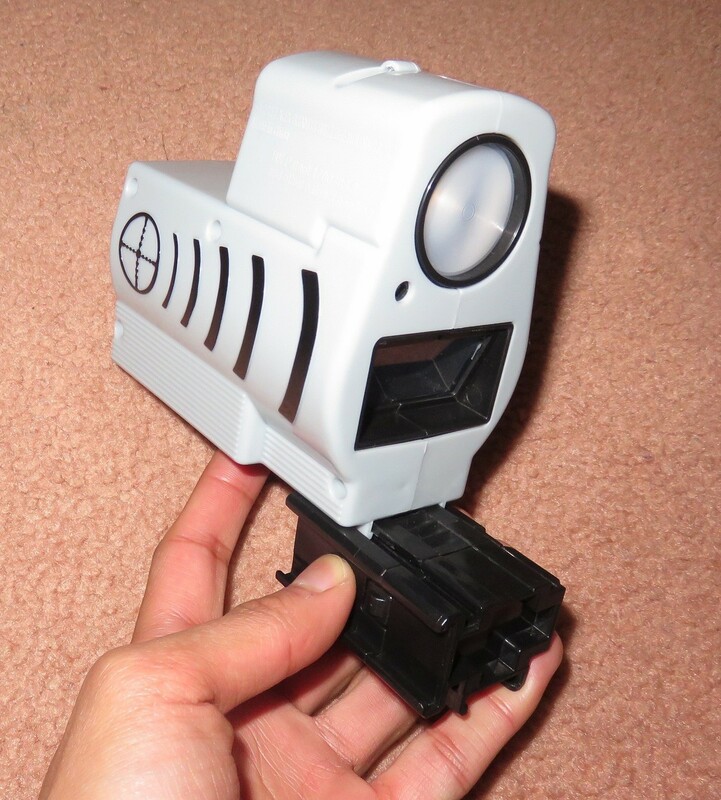 Furthermore, the Thermal Hunter also boasts a unique gimmick, in the form of a “heatseeking” scope. Naturally I was very much looking forward to get my hands on one. 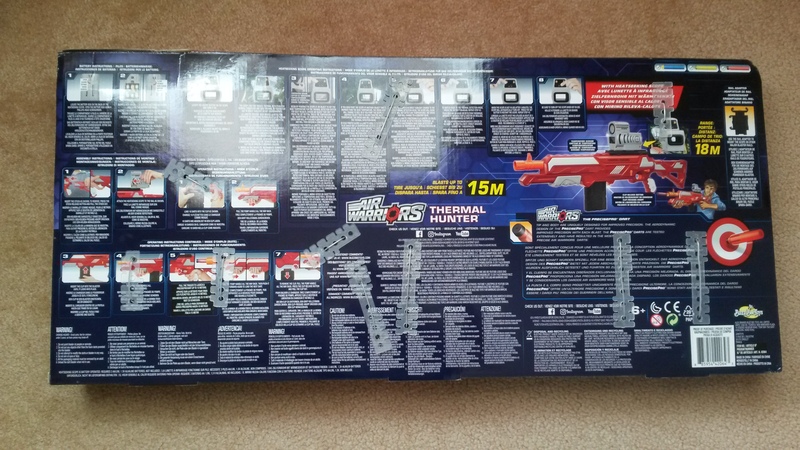 Mostly standard open box. The panel highlighting the Heatseeking Scope is a little different to usual. Closer look at the shell detail. The Thermal Hunter is a decently sized, pump-action mag-fed rifle. 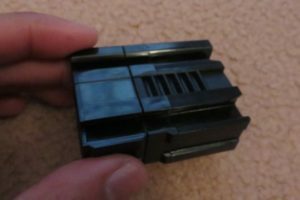 Like with the other recent Buzz Bee releases, it features a lot more physical detailing and texturing than past releases. 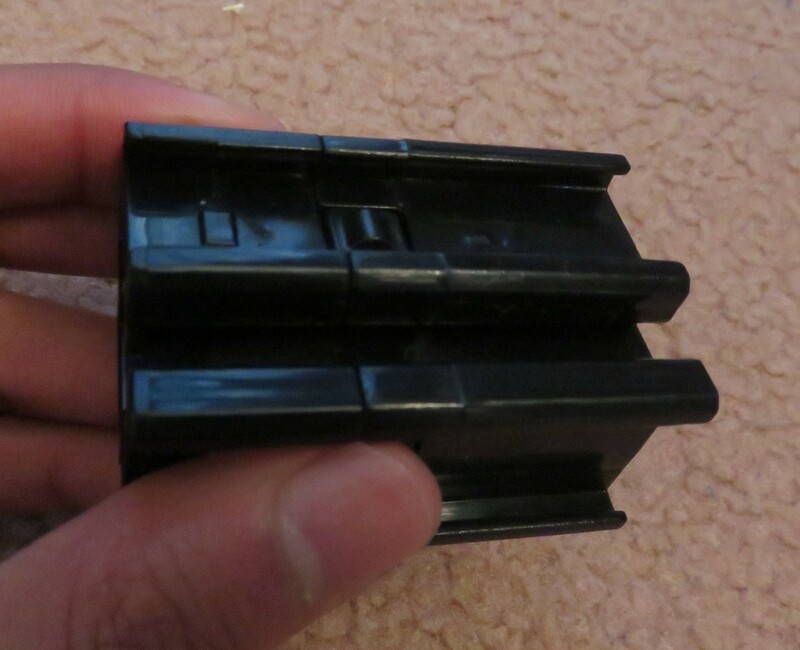 The plastic also feels much improved, being seemingly thicker and more solid. 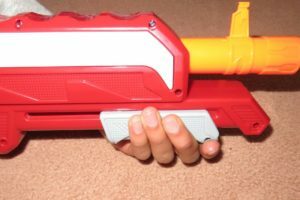 The Thermal Hunter has a single Buzz Bee tactical rail on top. 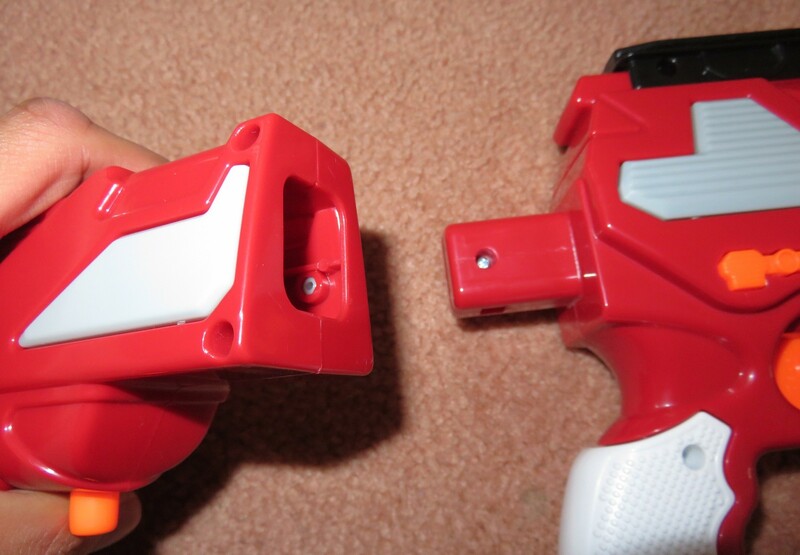 The Thermal Hunter’s handle is quite poorly designed. It is very short, and it is also not very thick. This combines for a rather uncomfortable experience holding the handle. 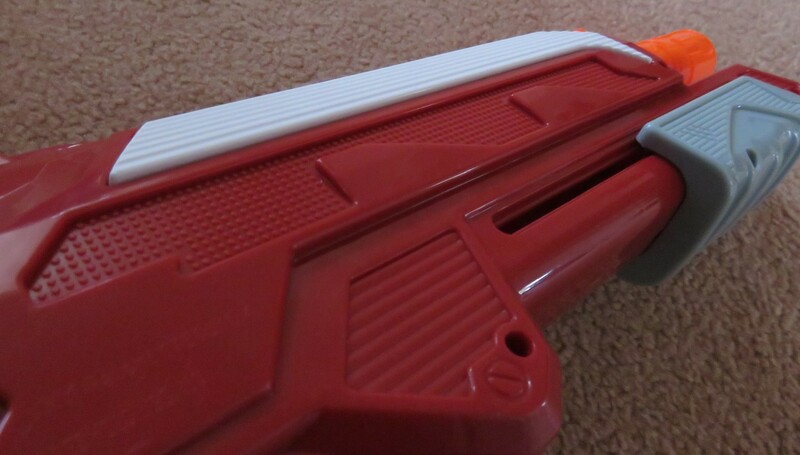 Close up of the pump grip and track. 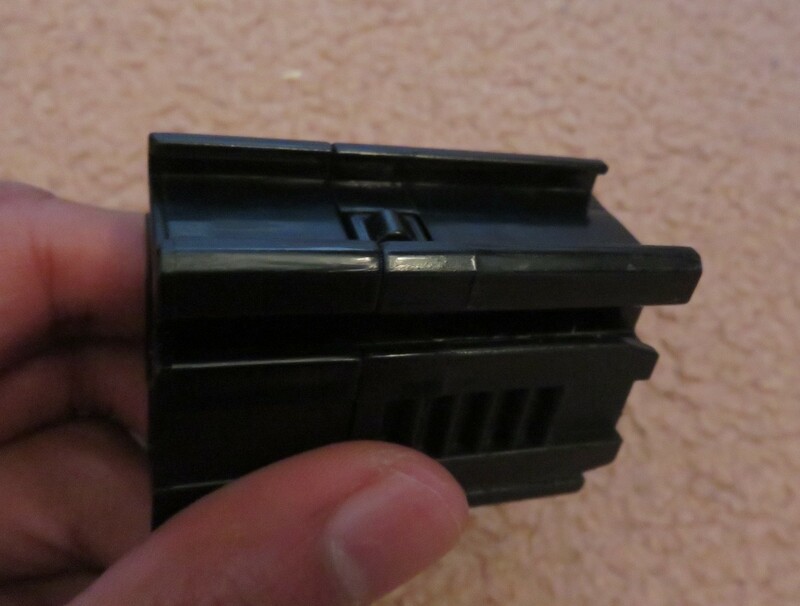 Bottom view of the pump. The pump, on the other hand, is quite reasonably sized. It is of a good length, and a reasonable width. I personally actually find it a little wider than ideal, but regardless it is quite easily grippable. 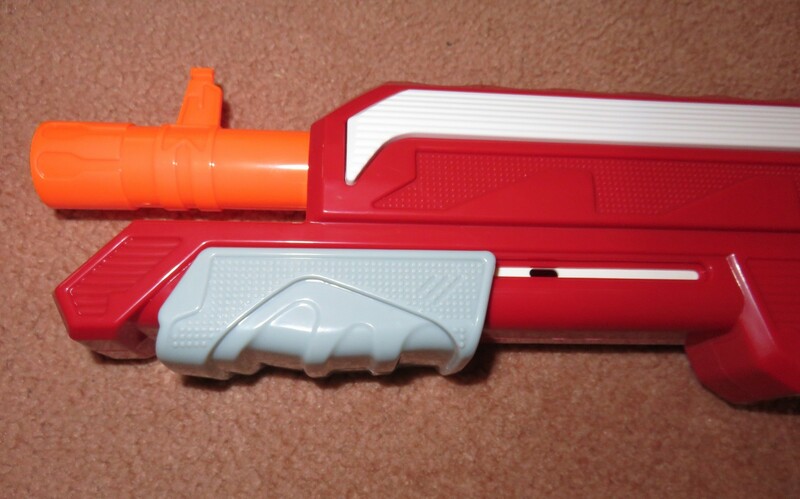 The pump travel of the Thermal Hunter is about standard for a mag-fed blaster, possibly slightly shorter. 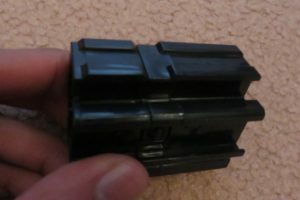 Nerf mag almost loaded, but not properly secured. 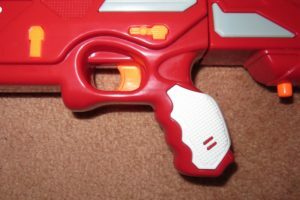 The Thermal Hunter’s magwell is much the same as any other Buzz Bee mag-fed, with the same push-to-release mag release. 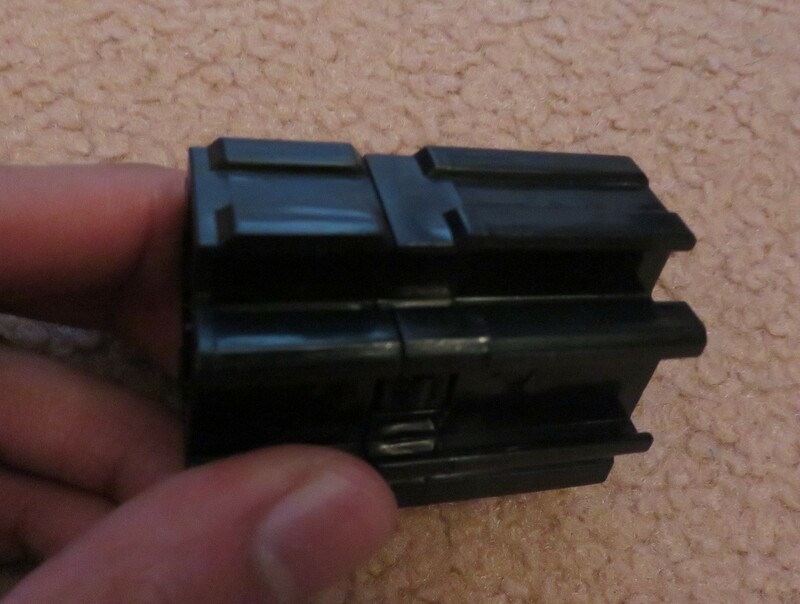 I personally strongly dislike this type of mag release, and would have much preferred a lever release. 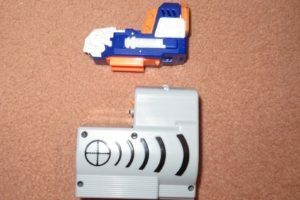 The Thermal Hunter takes Buzz Bee mags without issue, however does not quite work with Nerf mags. 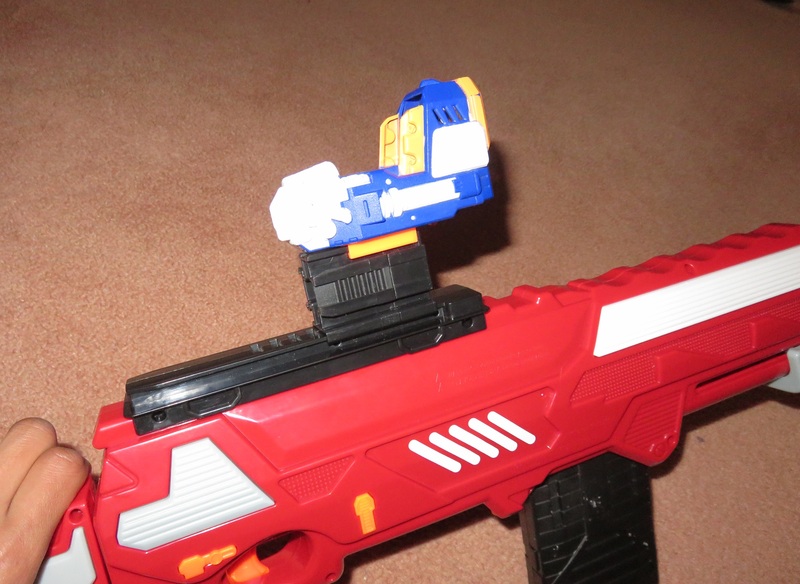 The front protrusion of the magwell is just slightly too large, and so blocks the front ridge of Nerf mags. 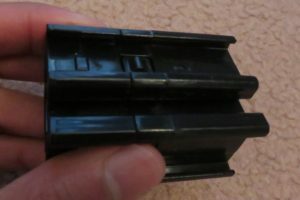 The mags do not quite lock in place, and will not chamber darts reliably. This can be solved by a little shaving on the inside of the magwell. 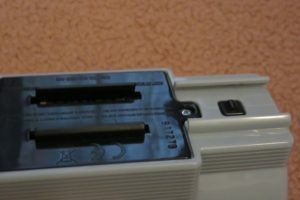 Close up of the stock. 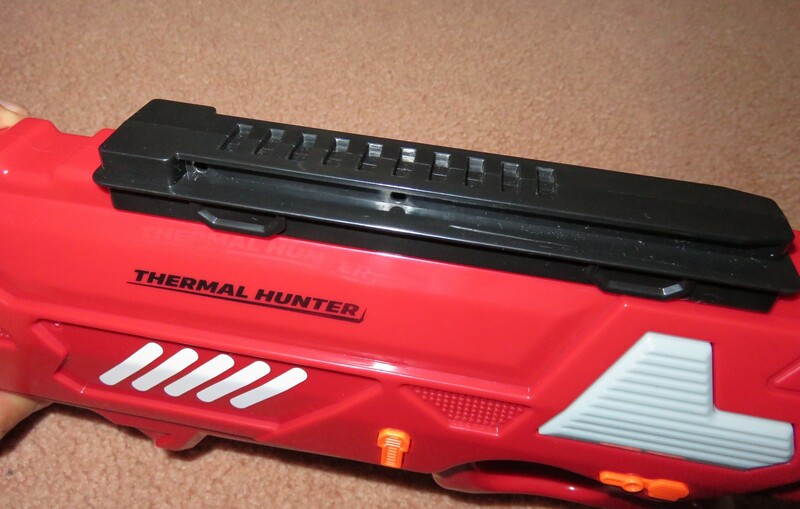 The Thermal Hunter’s stock is a unique piece. 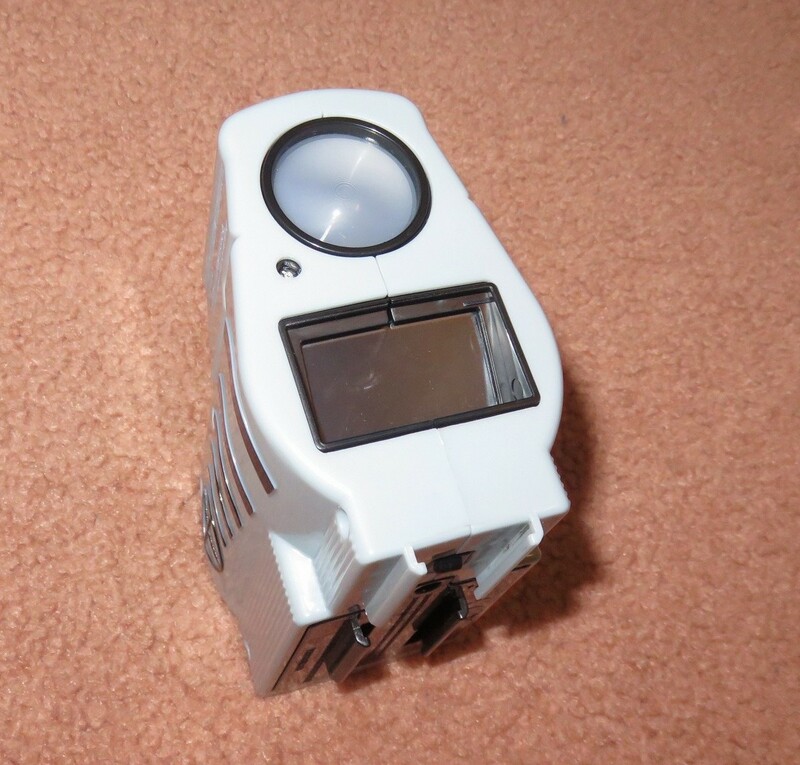 It is compatible only with the Thermal Hunter, and offers no additional functionality. It is a very short stock. 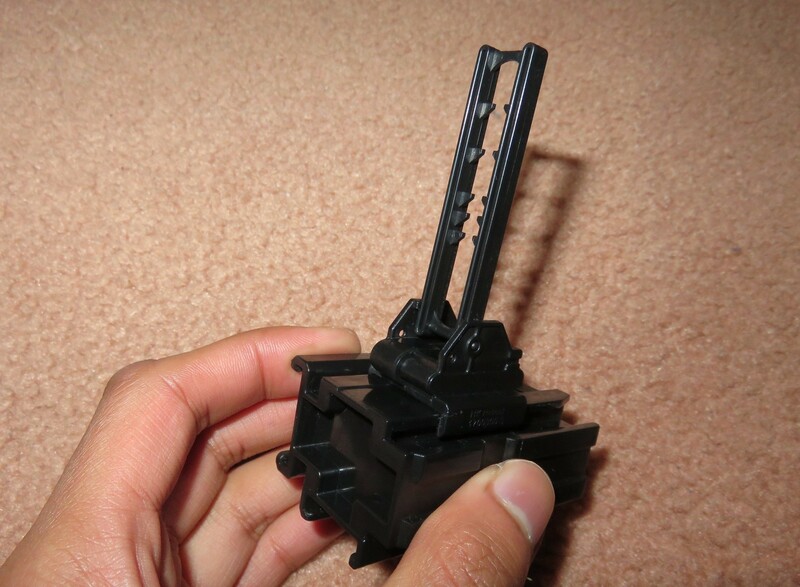 Showing the stock locking mechanism. 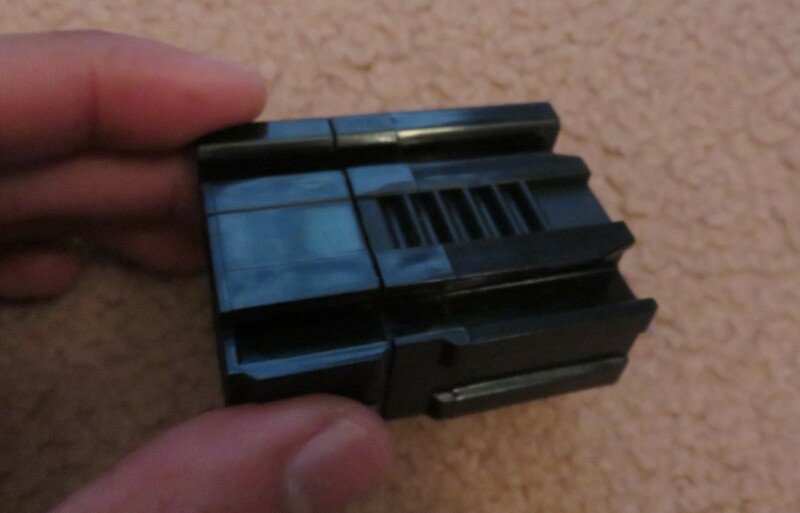 The stock attaches to the blaster on a stub on the rear of the blaster itself. 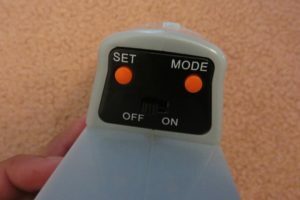 It locks into place with a single lock piece, and is released by holding down the orange button on the bottom. It slides on and off very easily. 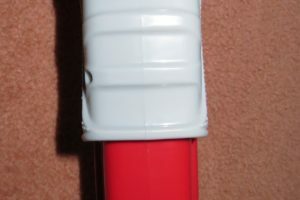 Side of the Heatseeking Scope. A look at the rail clip. 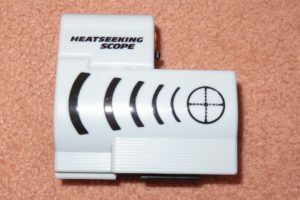 The Heatseeking Scope is a unique inclusion with the Thermal Hunter, giving it the “Thermal” part of its name. It is a very large sight piece, particularly with the top bulge containing components for the thermal detection functionality. 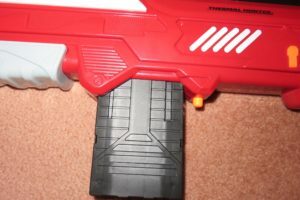 The bottom has an extended tactical rail clip for mounting on Buzz Bee tactical rails. 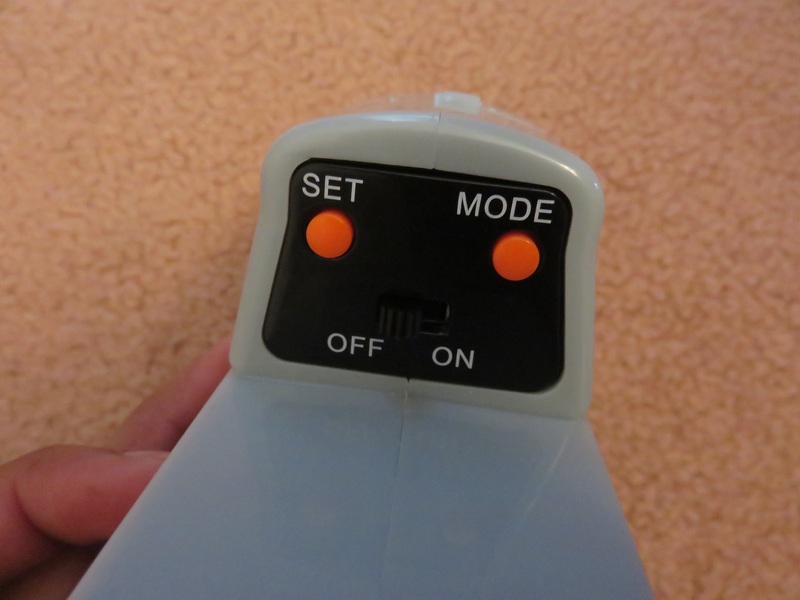 Close up of the buttons and on/off switch. A closer look through the viewport. 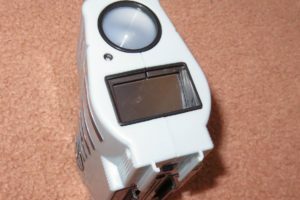 The scope is controlled by an on/off switch and two buttons. 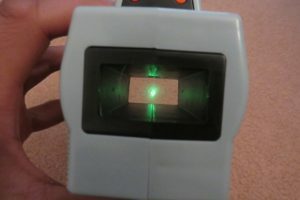 “Set” is used for the thermal detection mode, while “Mode” toggles the scope between its two modes. Closer look at the green reticle. 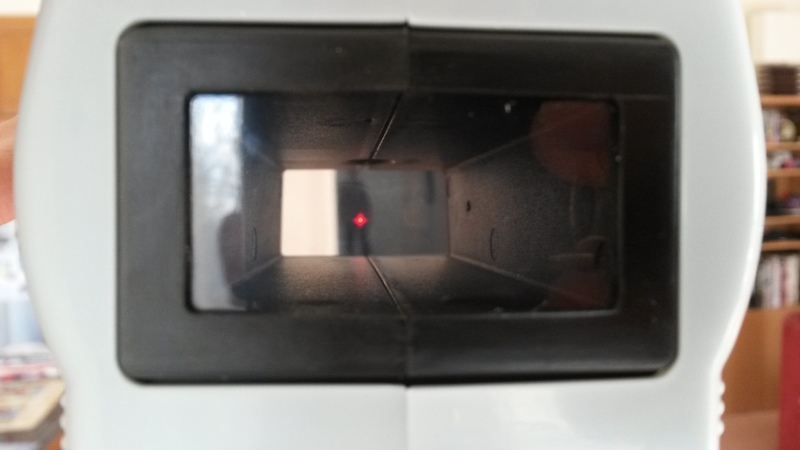 A look at the reticle turned red. 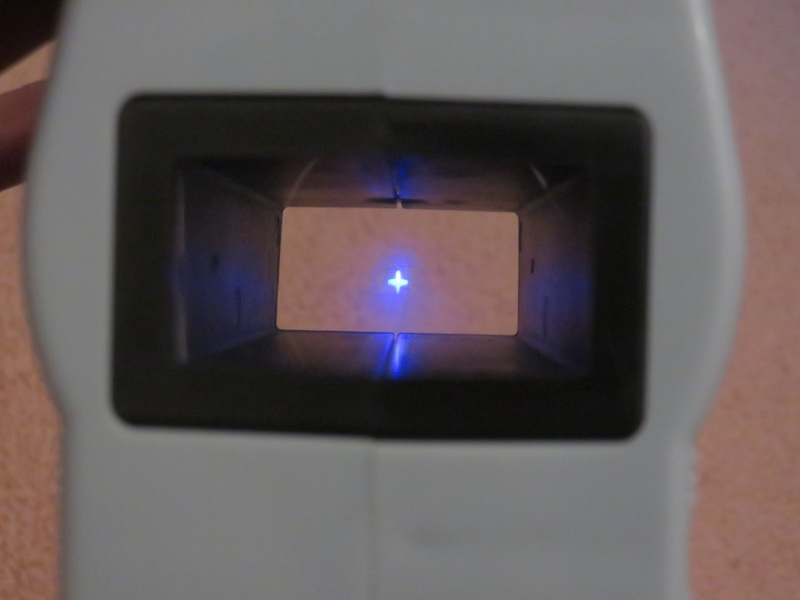 A look at the blue reticle. 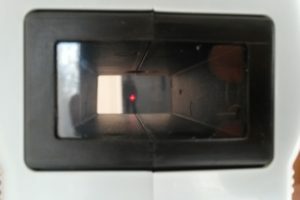 The primary mode of the scope is of course its thermal detection mode. Its default reticle is green, and it turns red if it detects a target. 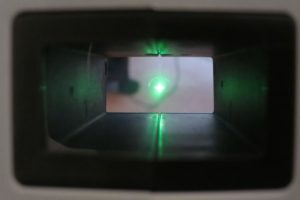 Upon turning on the scope, switching to thermal detection mode or pressing set, the reticle flashes between green and red for about a second. During this time, it reads the temperature of whatever it is looking at. This is used as the reference temperature. Once set, the scope then compares the temperature of whatever it looks at to its reference temperature. 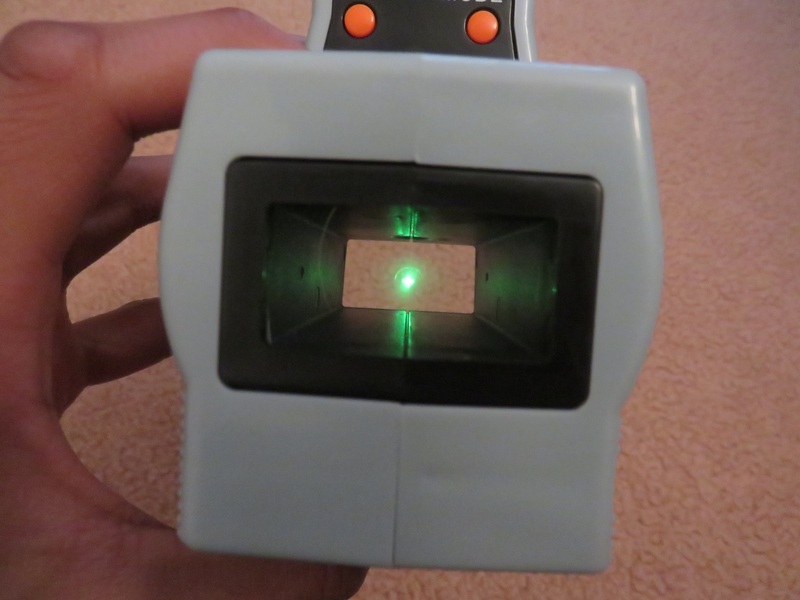 If it is significantly warmer, the reticle turns red, and if not, it remains green. 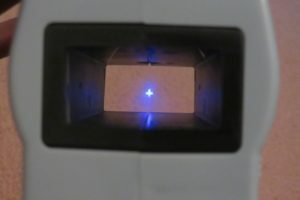 In the second mode, accessed by pressing the mode button once, turns the reticle blue. This is a standard sight mode, and does not react to the environment. 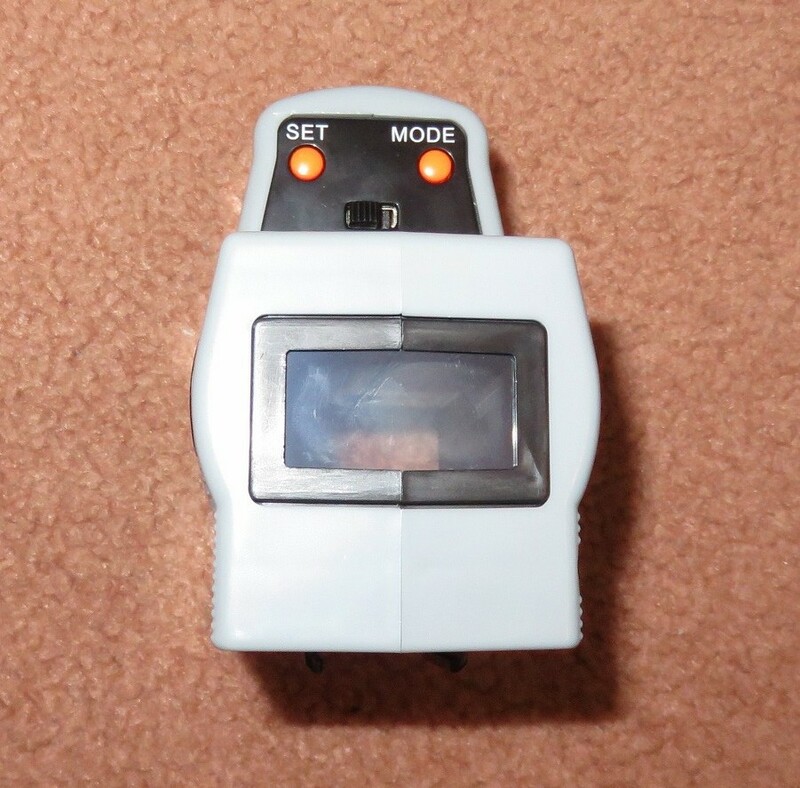 Pressing the mode button again switches back to thermal detection mode. Heatseeking Scope mounted on the tactical rail. 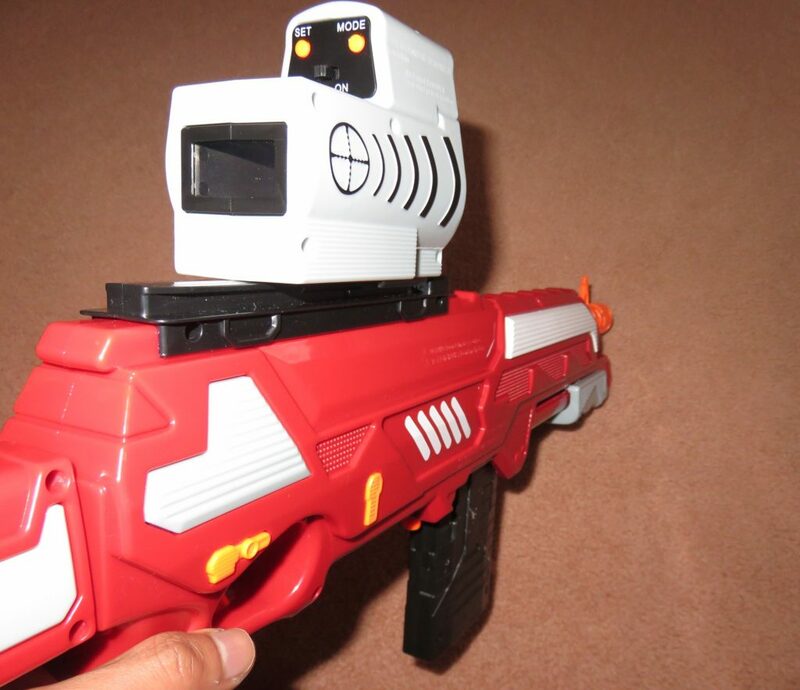 Next to Nerf's Pinpoint Sight. 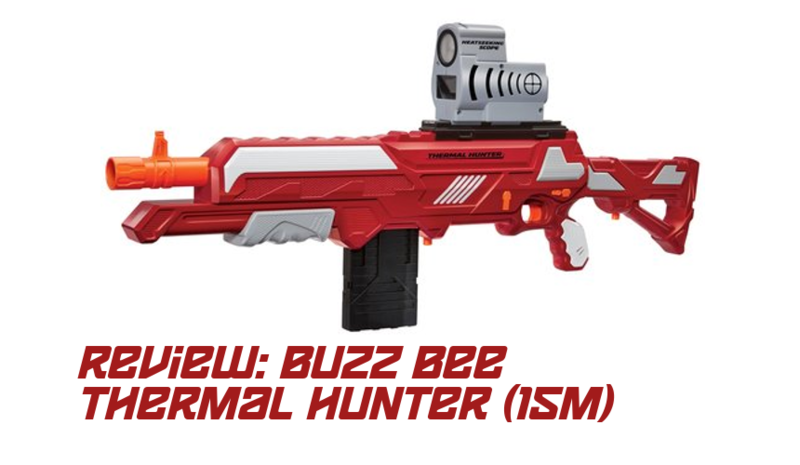 The Heatseeking scope slides on smoothly to the Buzz Bee tactical rail, and does click in place. It is however fairly loose and could fall off easily with enough jerking. 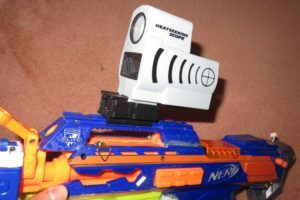 Compared to Nerf’s Pinpoint Sight, the scope is particularly large and bulky. Overall shot of the adapter piece. 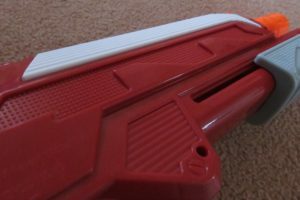 Close up of the Buzz Bee rail. 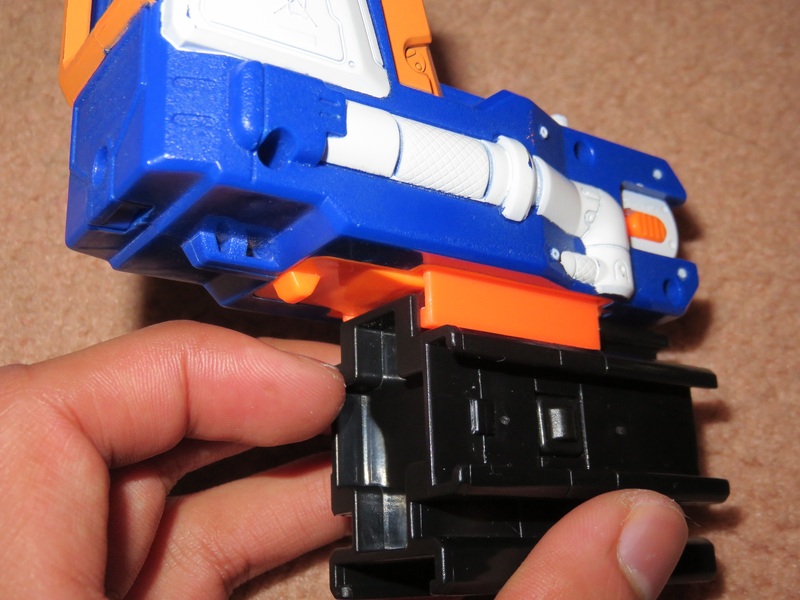 The Rail Adapter is another attempt by Buzz Bee to bring together Nerf and Buzz Bee blasters. 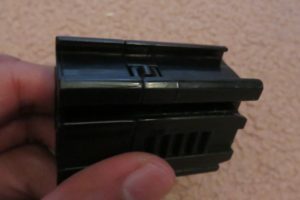 It features both companies’ tactical rails and tactical rail clips, allowing attachments from either side to be used on the other one’s blasters. 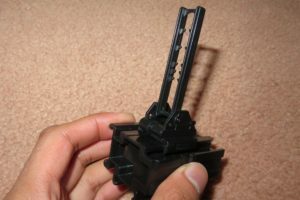 Pinpoint Sight mounted on the rail adapter. Sight from the Stryker Force/Zenith on the Buzz Bee rail. 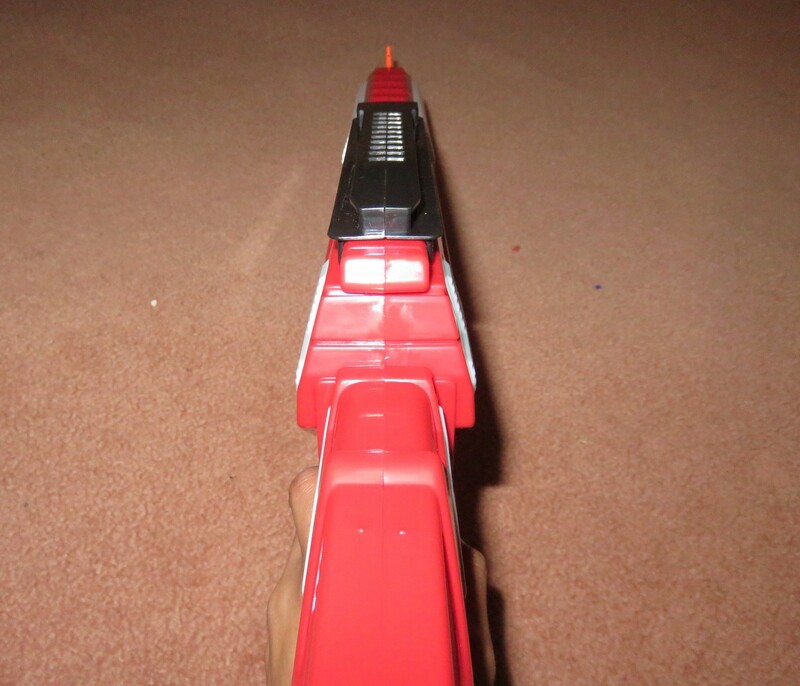 Pinpoint Sight on the Thermal Hunter. 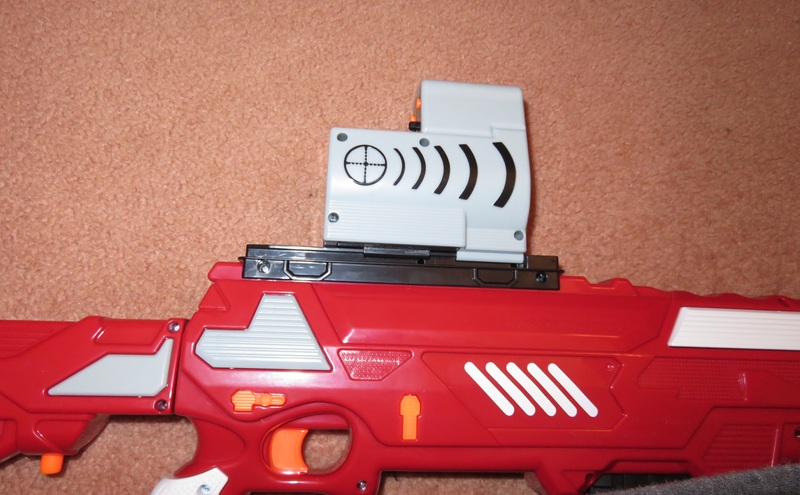 Thermal Scope on a Rapidstrike top rail. 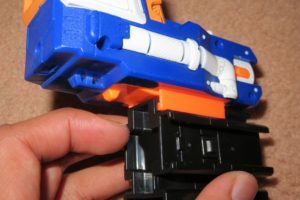 While it is technically compatible with almost all attachments and tactical rails, it fits Nerf attachments very loosely, and fits both types of tactical rails quite loosely as well. 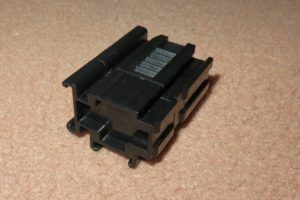 Heatseeking Scope mounted on the rail adapter. 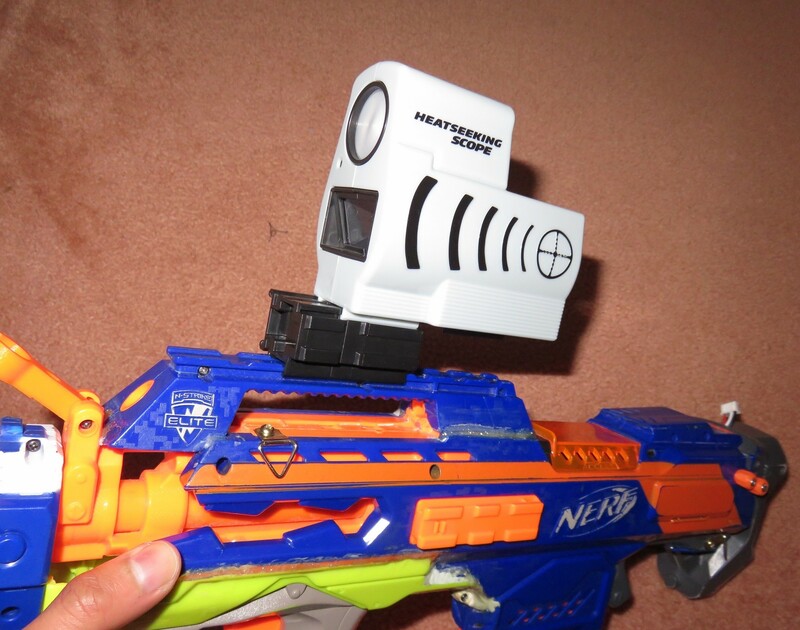 It also does not fit the Heatseeking Scope very well, ironically. 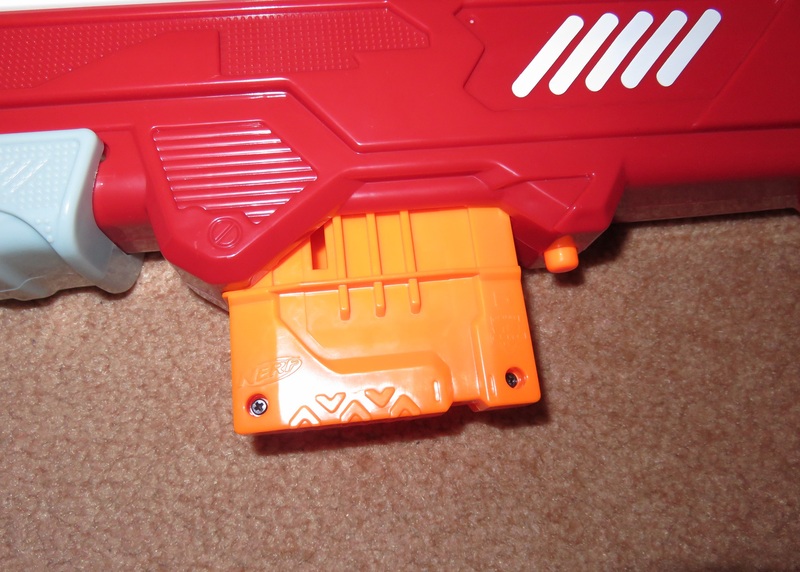 The Heatseeking Scope is too large, and the side of it collides with the tactical rail clip for Buzz Bee rails. 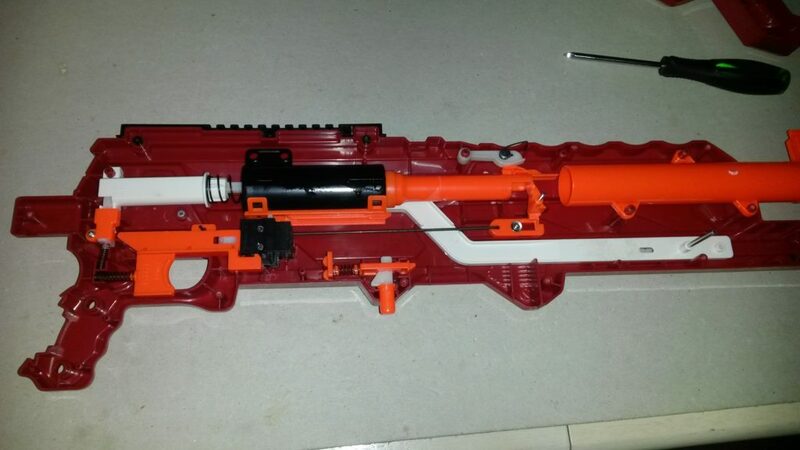 While it is possible to get the scope on, it is very tight to both attach and remove. The full Thermal hunter package forms a solid and fairly complete rifle form. Ergonomically, it is not great. The handle is very small and the stock is quite short. 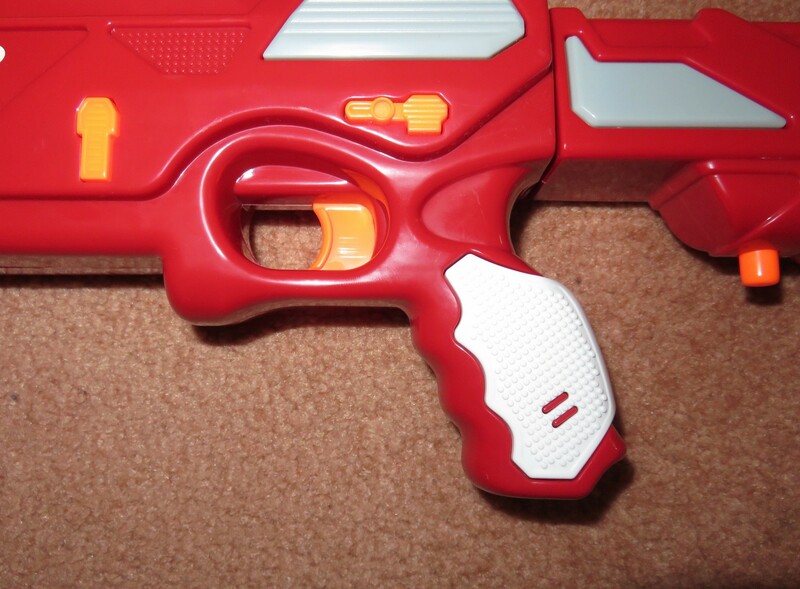 Comparatively, the magwell and pump are both quite far away from the handle. 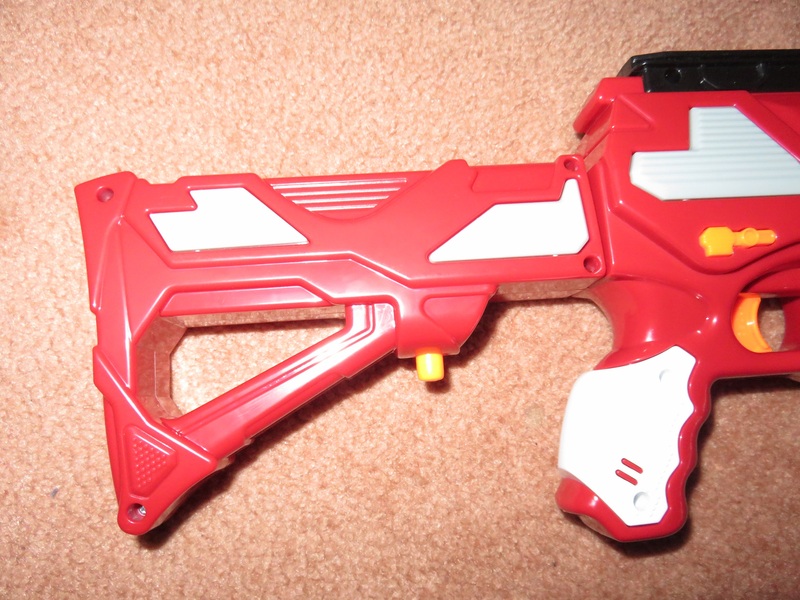 Overall, this makes the blaster a little awkward to handle. 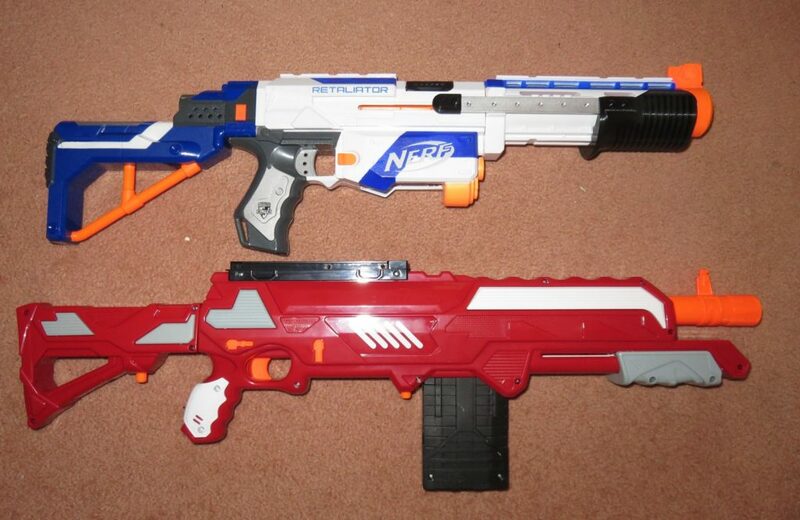 Ergonomically, a Retaliator with a pump grip is significantly superior to the Thermal Hunter. 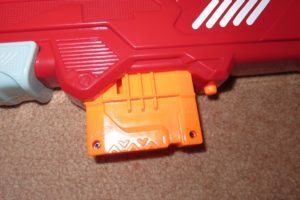 The Retaliator’s magwell is much closer to the handle, allowing a custom or aftermarket pump to be mounted much closer to the handle as well. 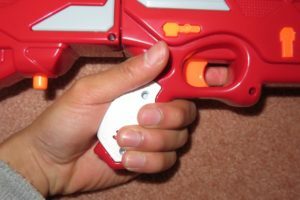 Additionally, the handle is significantly superior to the Thermal Hunter’s, and the short stock can be easily replaced with a longer one. Please note that the Thermal Hunter I received is an Australian-spec one, and has been significantly weakened to conform with Australian safety laws. With both the PrecisePro and Long Distance darts, I recorded my Aus-spec Thermal Hunter averaging around 55fps muzzle velocity. This corresponds to around 8-10 metre ranges with the PrecisePro darts, and 6-12 metres with the inconsistent Long Distance darts. Accuracy with the PrecisePro darts is extremely good, as their name would suggest. They fly extremely straight and fire extremely consistently. Long Distance darts, in contrast, are horribly inconsistent and fly all over the place. 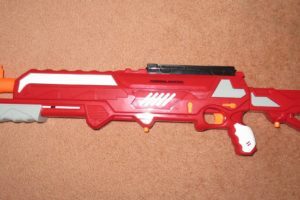 Due to being the primary dart type included, the final performance ratins are based off of PrecisePro dart performance. 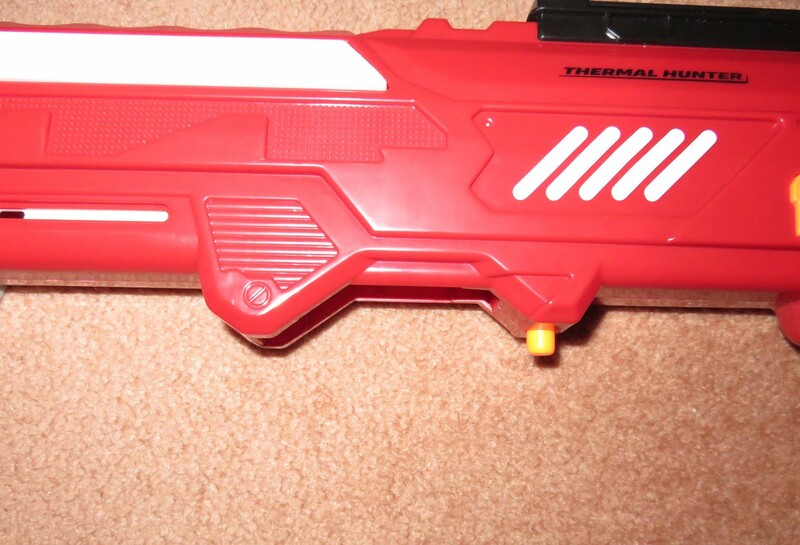 The Thermal Hunter’s rate of fire is decent. 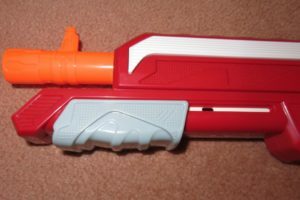 Though it lacks slam-fire that most of Nerf’s pump action blasters have, it is still capable of around 3 darts per second quite reliably. The Thermal Hunter serves as a solid all-round pump action magfed blaster. 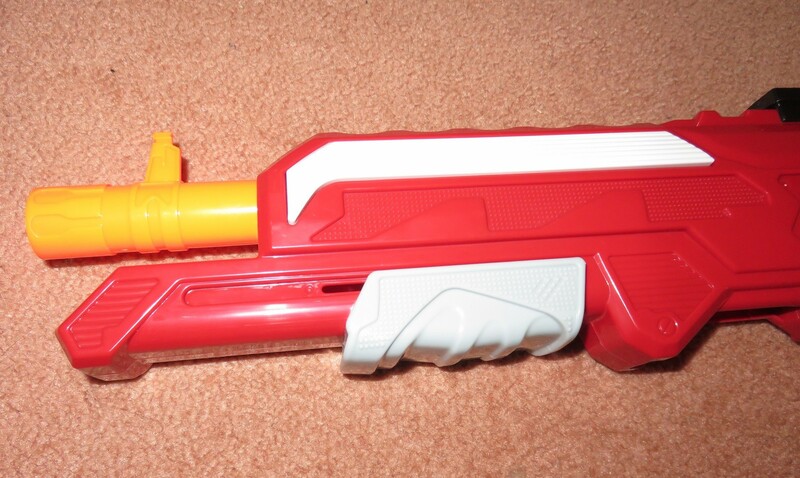 It is not the most powerful blaster, nor the fastest firing, but it provides a good balance of both. 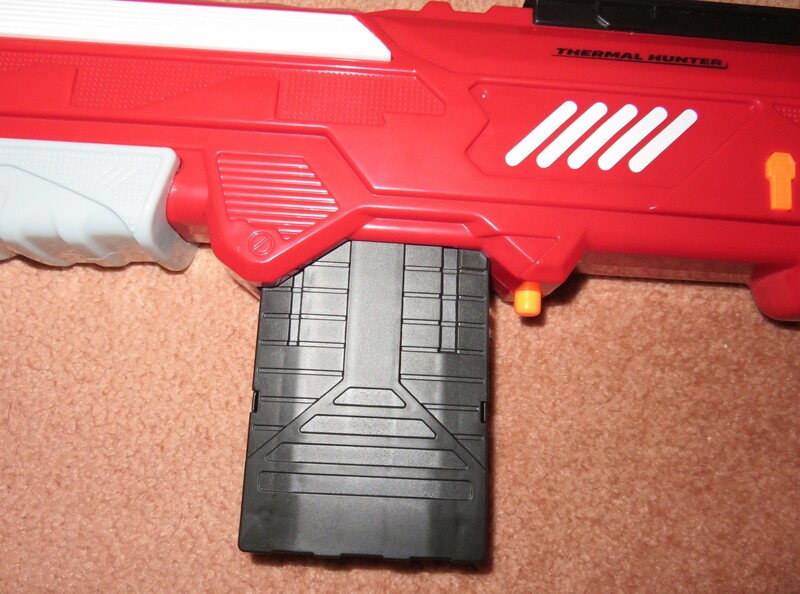 The Thermal Hunter can be used in essentially the same role as an Elite Alpha Trooper or pump-gripped Retaliator. It is worth noting that while the Aus-spec Thermal Hunter is quite weak, the US-spec one is quite competitive for power. 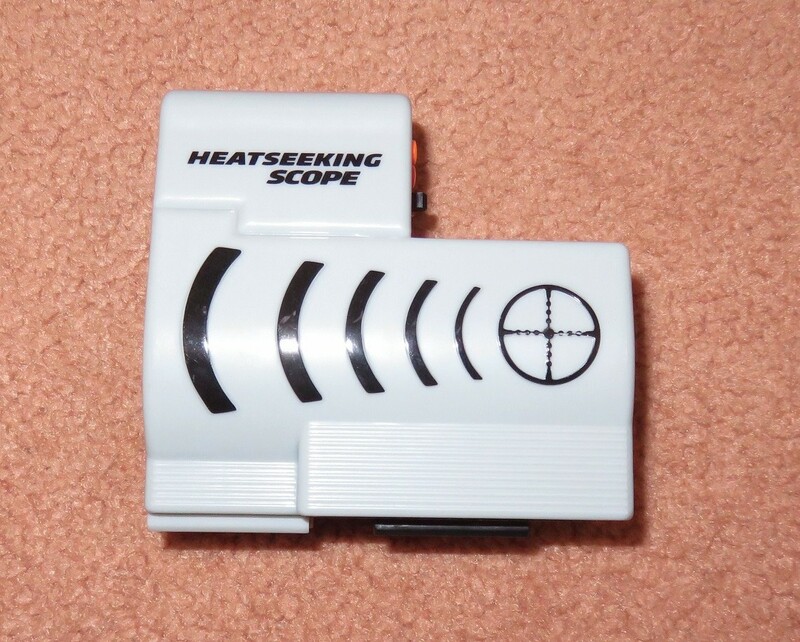 The Heatseeking Scope is worth a mention here for a possible niche use. 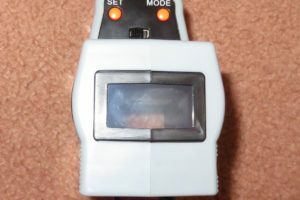 As it operates using IR, it can “see” players and other warm objects in low- or no-light conditions, if the background is relatively cool enough. As such, it could allow its user to more easily spot players in no- or low-light conditions than attempting to spot them simply by eye. 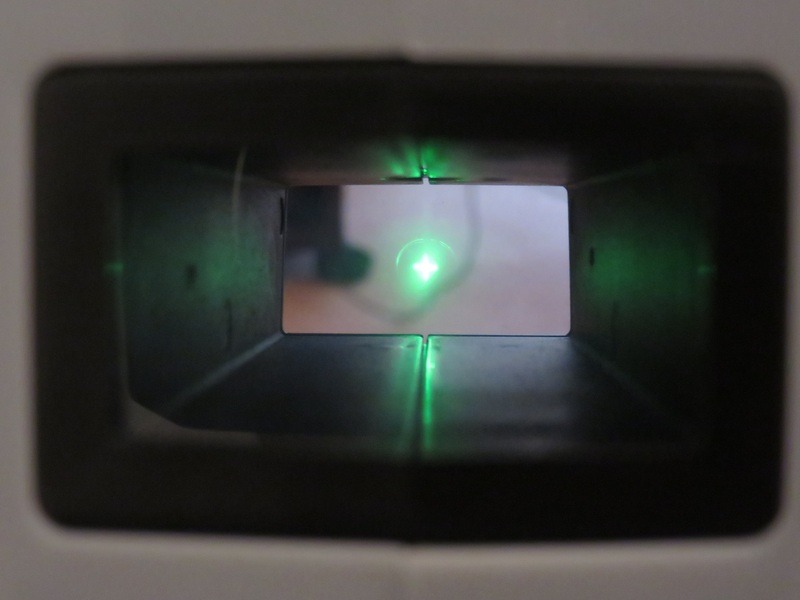 The scope however is quite bulky, and there are a number of alternative methods for spotting players in low light. It also struggles in warmer conditions, and outdoors during daytime. 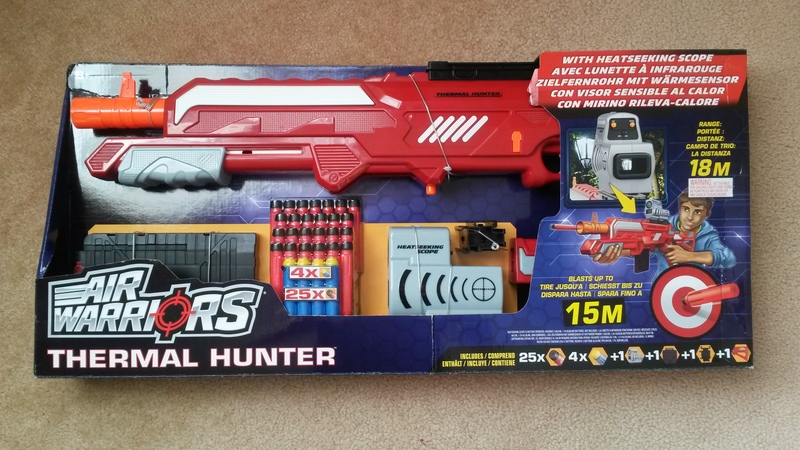 The Thermal Hunter pack retails for around 25USD, while the (US) Kmart exclusive “Interceptor” pack retails for 23USD. In Australia, it is available from Mr Toys Toyworld for 60AUD. The Interceptor is a blue Thermal Hunter, that includes an extra mag and a more basic scope in exchange for not including the Heatseeking Scope. 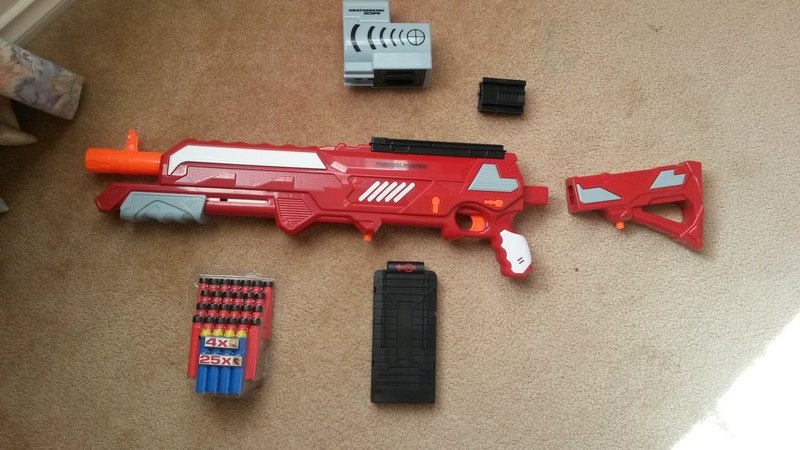 Both packs are very solid value, as they offer a rather complete and solid blaster with various extras, for a very reasonable price. The Elite Alpha Trooper, which has no extras beyond the blaster and a single mag, retailed for 20USD, while the non-pump-action Retaliator retails for around 25USD. 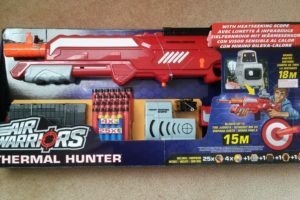 If you’re in the market for a solid pump action blaster with decent mod potential, or even just a decent blaster with a fun gimmick, the Thermal Hunter (or Interceptor) is certainly worth a look. 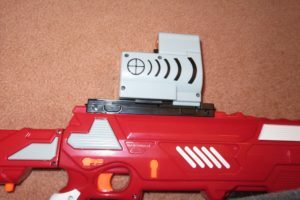 Internals of the Thermal Hunter. 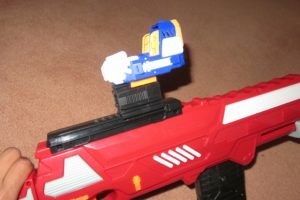 The Thermal Hunter uses the same plunger system as most of Buzz Bee’s springer magfed blasters. It is a decent size plunger tube with a reasonably solid setup, allowing it to produce quite a decent amount of power. 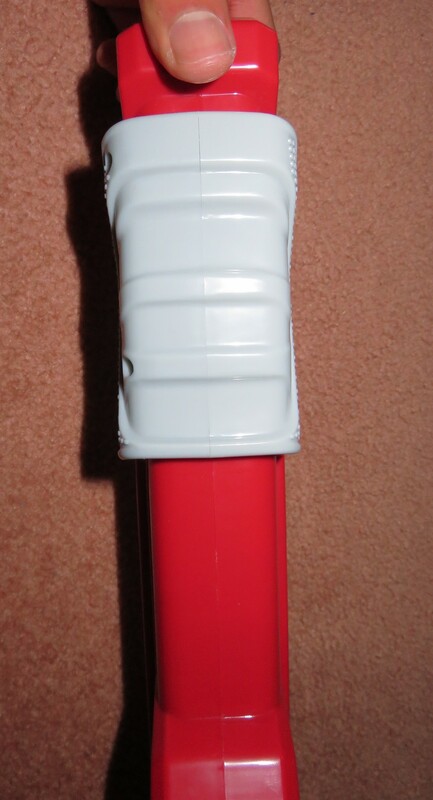 The main concern with the Thermal Hunter is its plastic priming arm, which links the pump and plunger tube. 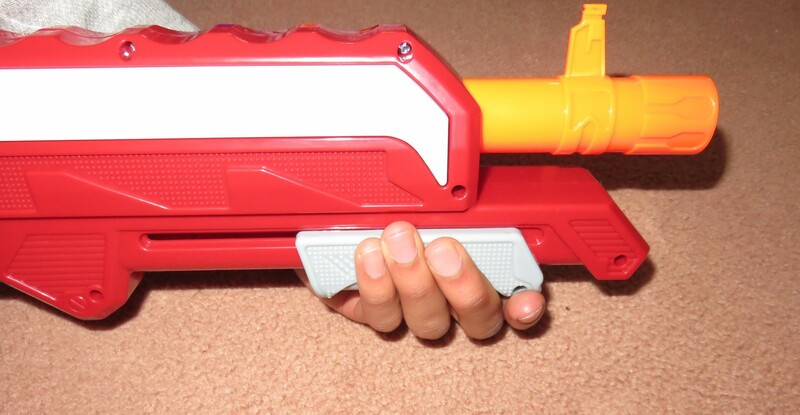 This arm may flex or break under higher spring loads. It is easily reinforced with epoxy putty or another similar rigid gap filler however. 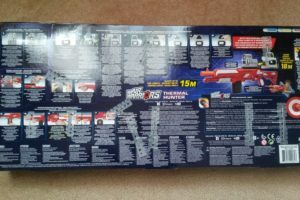 This entry was posted in Dart Blasters, Reviews and tagged 15m, australia, bee, buzz, hunter, review, thermal on November 8, 2017 by Outback Nerf. – Quick Question: What is ergonomics? 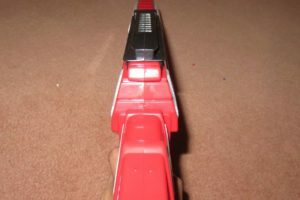 – I like how the heat seeking scope works to a degree! Really nice idea Buzz Bee! 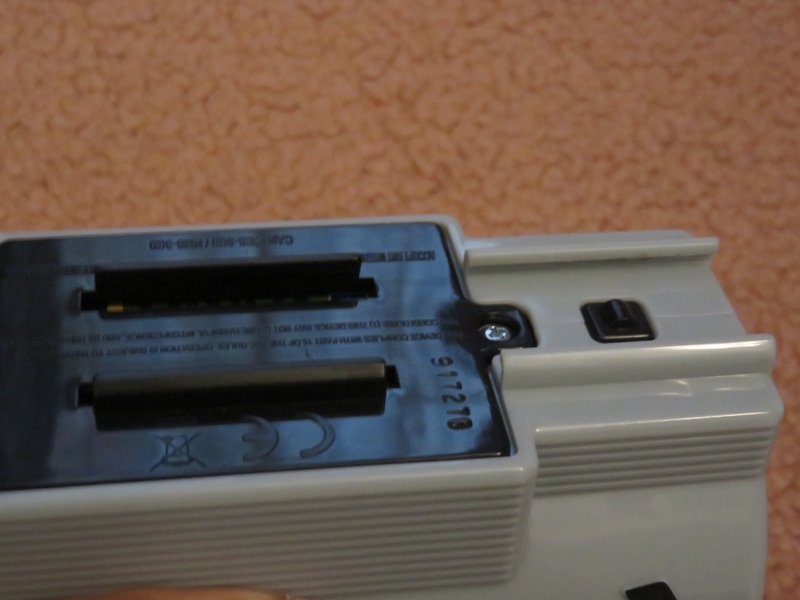 – In theory, the rail adapter is a pretty good idea. Needs work so it doesn’t look like a square block, however. 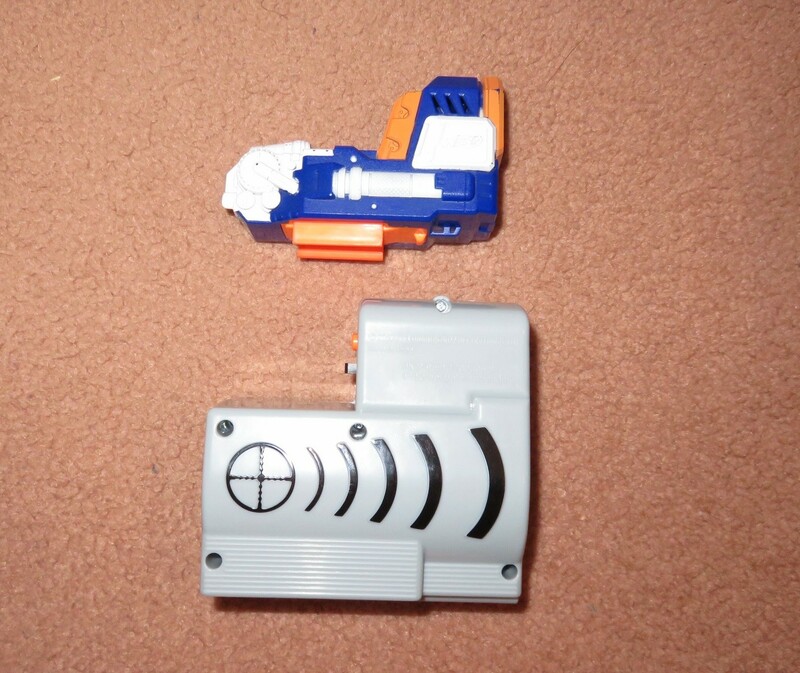 Idea for Buzz Bee…Just make two and sell in a set…a buzz bee to nerf adapter, and a nerf to buzz bee adapter. 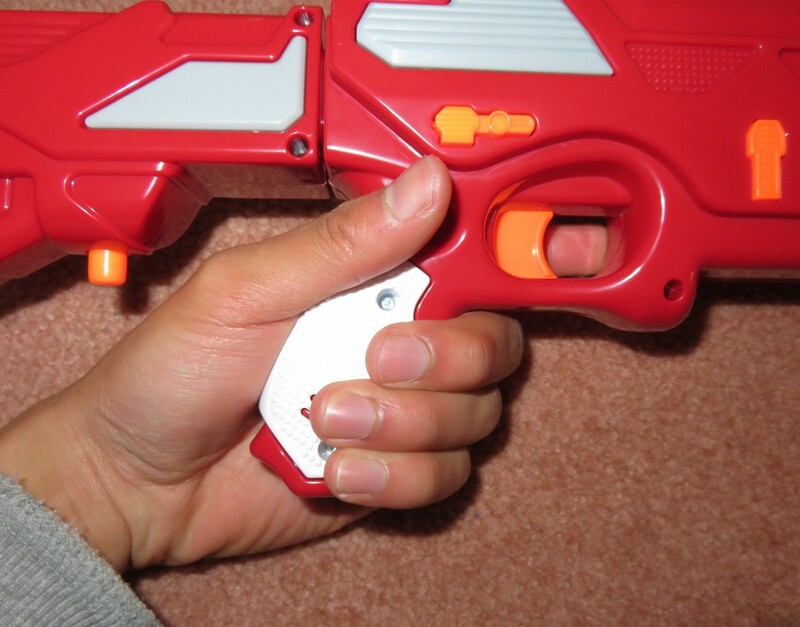 Ergonomics in this context describes how comfortable it is to hold and use a blaster. 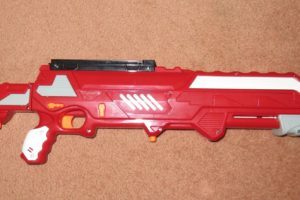 Hey I’ve been checking out Buzz Bee/Adventure Force blasters lately and need your opinion on darts. Obviously the Precise Pro darts are very accurate, but I checked your reviews and similar praise was given to the older Ultra-Tek Long Distance Darts (the suction ones, not the bad blue/yellow or green/blue ones). Which is better? Walmart.com is selling 35-dart packs of Precise Pros and 51 packs of UTLDs for about the same price (and on rollback right now, making them even cheaper) and I don’t think I’ve seen a comparison between them before.